The racing slope La Pala is a true touchstone for skiers who are both physically and technically experienced. 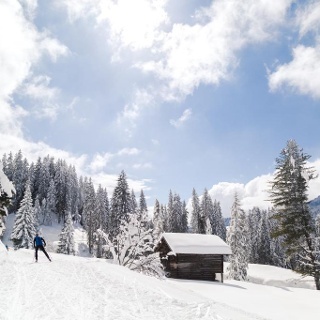 In addition to a sport challenge, skiers will also experience a dreamlike landscape. 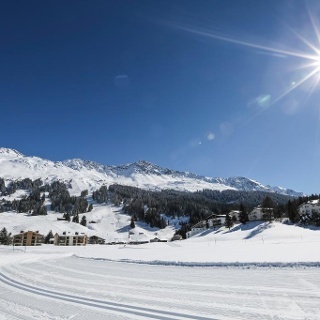 The starting point of this cross-country skiing tour is the Luzius meadow in Lenzerheide. 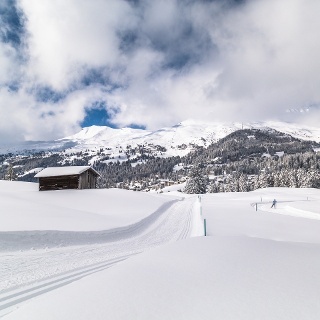 The generously groomed meadow is very suitable for a small warm-up before following the cross-country trail towards lake Heidsee. After two short ascents, the terrain will be flattened again after the Lido has passed. 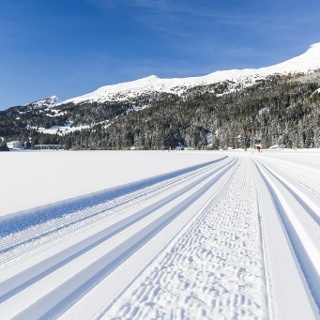 The effort is rewarded: the cross-country track along or on the lake Heidsee is a real pleasure. And above all, an ideal opportunity to get warm for the race track. In the waters of Lake Heidsee there are numerous species of fish such as char, brook, rainbow trout, minnow, carp and tench. The banks are partly protected and in the southern part of the lake you can swim during summer. 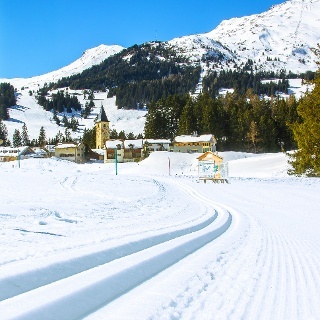 The turn-off to the Rennloipe La Pala is along the lake Heidsee: first pass under the road underpass, then follow a small ascent, and you are already at the start of the racing slope. The route In the midst of the dreamlike landscape is meticulously and technically challenging. It contains some curves and diagonal slopes and is ideal for practicing the various techniques. After reaching the highest point at 1‘526 meters asl, there is a short but rapid descent back to the lake Heidsee. 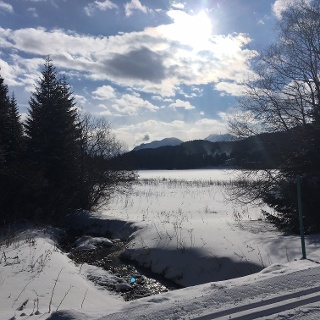 At the end of the cross-country skiing session, a cozy final round on the lake or Luzius meadow can be added. La Pala race track is only signaled and accessible in one direction. You can park at the Allod parking lot in Lenzerheide (next to the ice rink, opposite the ski school).